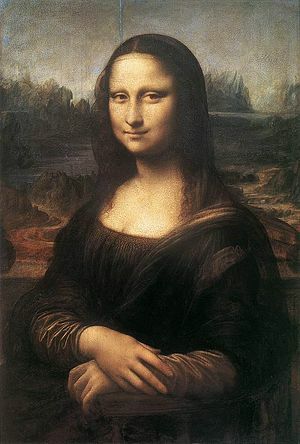 The "Mona Lisa" (also known as La Giaconda) is a 16th century portrait by Italian Renaissance artist Leonardo da Vinci, and is one of the best-known artworks of all time. The painting's fame increased after its theft from the Louvre on August 21, 1911. Additionally the expression of the figure sitting for the portrait is often described as enigmatic, leading to a great deal of speculation. This page was last modified on 26 August 2016, at 11:48.